Work for Cornerstone Practice Management? Learning about Cornerstone Practice Management? I love that Cornerstone is synced with Idexx. It is a huge help when the blood work automatically gets send to the in-house blood machines and it uploads results into the patient file. I do not like that there can only be four patient clipboards open at one time. When you have six exam rooms that require you to work on their PVL's, it is an inconvenience. This is a fairly recent change, as it was never like that before. Huge mistake implementing. It is very simple to make a medical note, and it has come in handy on many occasions when dealing with a problem in our office. "Like learning Chinese, but it sure does the job"
THE REMINDER SYSTEM!!! I love it so much. My boss overused the ability to generate pop-up reminders. I think it made him feel powerful. But every simple little task took 3X longer because I had to get through more popups than the 90's internet. Also there should be the ability to make an estimate/treatment plan without having to make an acocunt and set up all their personal info. Because customers who are shopping around do NOT have the patience for that. So we'd use a fake account. But then when they came back for services, the treatment plan was not transferable to their account. Printing out patient records should be easier by allowing you to save which types of info you want included instead of having to select it each time. Simple printout needed for vaccines given with dates they were administered and due dates (people needed this all the time to give to kennels, groomers etc and they never understood the reminder due dates). Check-in process was so cumbersome but that's my boss' fault, not yours. Go to Idexx training and for the love of god do not overuse the ability to make pop-ups. The reminder system improved communication greatly between staff. Record keeping was great. Everything is in one place, I don’t have to switch programs to schedule an appointment or to take a payment, it’s all right there! Sometimes it has slow periods where it doesn’t run smoothly, usually when an update is needed, but since we can’t shut down in the middle of the day we can’t update so it makes for a frustrating day of slow computers. Try it out and give it time to settle in before deciding if you like it or hate it. Only one program for new employees to learn. It’s easily learned and everything is included in the one program. It has made training easier and an all around more productive office. This software is by far the best I've used for vet hospitals. It has SO MANY functions, which does take a while to learn. But once, you do....omg the reports you can run! I love stats, so it's pretty cool to see trends as they are happening. It allows you to make patients aware of disease outbreaks, parasites, etc. Plus, it's easy reporting for rescue organizations who often need their grand total at the end of the year. It's A LOT of info. Patients have to use an outside portal to view their pets. You can upload xrays and other lab results from Idexx directly into the patient chart! Reporting on trends is probably the best part of it. When you notice a lot of patients coming in with the same symptoms, and you can back that up with a report, it's wonderful. WeI would like to be able to identify pts through client access.. whenever clients are distraught during an emergency sometimes it's tough to get all necessary information from them.. using numbers from caller ID or owners speaking quickly and excitably you may misspell their name or find that you have multiple clients with the same name..the client list does not list their pets name..
"Cornerstone for Small Animal Practice"
Cornerstone & Idexx labs streamline an entire practice easily, making finding patient history, lab requests, prescriptions, and invoicing easy. Customizable alerts and functions make the program unique to each practice's needs. Cornerstone makes daily tasks and processes simpler for our staff and for our clients. It's easy to communicate with vendors, other practices, and other veterinarians using Cornerstone. The patient information (weight, vaccinations, breed, age, etc.) is also easily visible with the check-in document. Cornerstone makes it easy to renew prescriptions and copy them to invoices quickly. Patient history reports are often cluttered and hard to read through in a timely matter, which can be critical in emergency situations. We have had bugs with getting lab requests transferred to the lab. Monthly reports are cumbersome. Recommend! Easy to track client information and billing, ease of communication across practice. Cornerstone Practice Management makes it simple for our staff to document everything we do so that we are practicing accurately. It streamlines communication and helps us to track patient health over time. We are able to invoice our clients quickly and accurately ensuring a good experience in our practice. Cornerstone seems to be an all encompassing Practice management software. I also appreciate how it interfaces extremely well with all the Idexx equipment and online resources. To do anything that is not the out of the box option or setup by Idexx with the initial install is very difficult with a very high learning curve. "My experience with Cornerstone has been very pleasant overall." I liked the fact that Cornerstone allows you to search the database for a particular client multiple ways such as first name, last name, phone number, etc. It made it easier to find the patient I needed especially while on the phone as many pets have the same name which can make it very challenging to find the right patient. There was a bit of a learning curve when it came to figuring how to get to different pages, I think it would be good if the program was slightly more intuitive. If it was a bit more intuitive it would help to give new employees an easier time learning the software as well as more confidence navigating it when alone. As long as you can get over the learning curve of operating the software, Cornerstone is great tool for all aspects that you need for a successful vet clinic. Being able to use one software to keep patient files and billing/transactions was wonderful. It was great to not have to use multiple programs for those tasks. "They Thought of Everything! " I really enjoy all the features Cornerstone has! It was really easy to see appointments and exactly the type each one was. It was easy inputting data about each patient and it showed the exact birthdate by year, month and day. The layout was clean and simple to use. The categories allowed you to find what you need quick and efficiently. They had wonderful customer service and could solve any issue you may be having! Creating medical charts, patients, filling out prescriptions and entering vaccines were all very simple and efficient. The added features are insanely helpful when it comes to boarding and treating medical patients for multiple days. Our clinic has a tv screen mounted and Cornerstone is used to visualize what patients are there, what medications need to be administered, and when each boarding patient needs a walk and feedings. The issue we would have is Cornerstone not linking all the computers together occasionally. One would fill out medical notes and save but it would not transfer to the receptionists up front for review. Products were sometimes very hard to find and it always depended if the one entering them in made funky names. It would be easier if there was a drop down menu of industry products to select from so it was easier finding them. I don't dislike the features at all, I wish they were included in the practice package. They are so helpful so when you work at clinics that don't have them its hard to get bummed out. Make the switch! I do recommend there additional features that helps with boarding animals and notifications for medications and medical treatments. I have used cornerstone for 6 years and it has streamline connections between, Ipads, laptops. desktops and every employee in the practice. It is created very well with sleek and efficient design in mind. Without this software thinks could be missed and it could directly impact a patients life. With notifications and visuals for each dog and cat in the office each employee can see what is done and what needs to be done. There is no information dropped when there is a shift change. It allows all the different departments to work together and make it the best possible for clients and patients. "Great software with little kinks"
Easy to use,fast and dont take up much space.they are very nice looking and if need help with anything can always het through to speak to someone .Always plesent to talk to and helpful. I dislike the fact that you can not run more than one sample.It would speed things along and would just cut the wait time down . The online tutorials really do help! It outlines every part of the software and makes it extremely easy to use, very easy to look up patients and treatments that they need as well as who is in hospital, who is boarding, due to board etc. Taking payments can be slightly difficult if you accidentally enter the wrong method of payment, ie a visa as opposed to a mastercard, if you have to go in and change it it can be a pain. Use the tutorials!! They help make it so much easier, don't just jump right in and try to figure it out on your own! The standard reports are very good and information is easily extracted. There is no way to correct a previous day if a mistake is discovered. It must be corrected in the current day and let the 2 days wash out. This is the veterinary practice software for our organization. We are an animal welfare org that has a public vet practice along with our shelter. This software uploads easily to our main GL program. "Cornerstone for Veterinary Practice Management"
Its easy to navigate and user friendly, not too many things that I don't understand and thats what everyone should have in a world moving so fast towards technology especially in a veterinary practice. It can be disruptive when trying to update with Windows new updates every few months. It provides the benefits of saving time and effort (when it works consistently) to get things done, like entering lab work, doing SOAP's, updating PVLs and getting customers in and out in a timely fashion. "The best, especially for especially for multi-dvm practices"
It's intuitively-based, meaning a new user can jump right in w/ minimal instruction. The physical-exam template can be customized for the needs of the practice. The whiteboard feature makes administering treatments accurately and w/o being missed on a patient's invoice. But, to me, the feature I like and use the most is the messaging feature which makes follow-up and communication amongst staff a breeze. Nothing, really. It's the EMR that as an associate I've encountered the most. Easy to use with great support! The medical record-keeping, communication amongst the doctors, staff, and pet owners is much improved by using Cornerstone. "Well organized and thorough with some minor frustrations"
Easy navigation for main uses like invoicing, patient info. There are a lot of uses for Cornerstone that I am still learning about. Our clinic just discovered Whiteboard after having Cornerstone for 7+ years. No proper training. No proper training. Easy to teach new employees compared to other programs. Cornerstone is an excellent choice for an electronic medical record system. It is user friendly, has many options and modules available for inventory, boarding, etc. I like the ease of creating customized medical notes. As a specialty and emergency practice, some features are less applicable (reminders, etc. ), and the scheduler is less user friendly to customize than other software choices such as AI (Animal Intelligence). This product is a great option for clinics considering a paperless transition, at is is a legal electronic medical record. Cornerstone allows us to manage inventory, run client reports for billing, patient reports to track various diagnoses for patients. "Easy all in one software program"
Easy to learn and navigate. Well organized for ease of use. Able to do everything with this program- inventory, ordering, radiographs, ultrasound, time clocks, prescribe, notes, client report cards, client hand outs. Love it. Not compatible with Apple computers, so the PCs need to be replaced every few years otherwise it is incredibly slow. Inventory management and order seems to be the biggest benefit so far. "At first, Cornerstone can be difficult to learn, but now I love it." I like that it catches charges that were previously missed. I love the electronic whiteboard. I also like how well it communicates with other aspects of IDEXX (diagnostics, etc.). There is more than one way to do almost everything in Cornerstone. This is a blessing and a curse. Initially learning the ins and outs of Cornerstone was overwhelming. Missed charges have greatly decreased! I would recommend this software to any veterinary practice. It was easy to learn & keeps all client information neatly organized and easy to access. Cornerstone is easy to navigate. The interface is intuitive. There are so many tools to ensure effective practice management, and it is customizable for every size and type of practice. Limited number of workstations, seems to run slower when more stations are being utilized, so busy times are slowed. You can analyze sales data, compliance, practice trends, etc. The lack of being able to do searches to collect data as well as the whiteboard has a lot to make up for. The ability to have estimates and invoices easily accessible is great. Finding individual pieces of information can be a bit cumbersome. If doing a retrospective study for a publication this will be a difficult piece of software to use to find the data. Being able to have patient post op instructions, op reports, billing and estimates all in one place. "Shiny but not overly well put together"
You can have multiple owners on each account. The newset upgrade made estimates easier to put together. The software freezes frequently and invoices get lost. Randomly doesn't add the prescriptions to the PVL. The searching for inventory items in the software doesn't make sense, as sometimes the product just doesn't show up. I honestly feel it has set our practice back by years, we have backtracked on the technology since acquiring cornerstone instead of impromed. Fairly easy to customize to your needs. Straight forward use once it is customized. Too many steps to complete simple tasks, such as printing labels. Easy to connect and communicate with outside clients and referring veterinarians. "Dependable, Efficient Practice Management Software "
This software really covers all of your bases from appointment scheduling, record keeping, ability to import diagnostic results from multiple sources, inpatient record keeping and discharge letters/correspondence. Sometimes slow performance, sometimes just crashes and has to be restarted. Records keeping and ability to share correspondence with clients and other veterinarians. It is detailed, seems to be a lot to the software. Too much to learn. Not as user friendly as other software. There could be a lot of benefits to this software but my experience is limited. 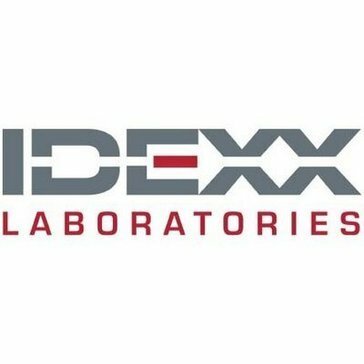 "IDEXX is a great software and convenient to use." Quick and easy to use once you get the feel for the layout. Since it's internet based sometimes it would run slow or just crash all together. Keeps patient records organized and allows us to keep things we'll documented. "Efficient enough for what I do"
Ease of scheduling and managing client/patient records. Difficulty with certain types of transactions or tasks within a transaction, such as overriding prices or editing a posted invoice. It's been easy to save balances for clients to pay at a later time and make partial payments. I also realized how easy it is to transfer patient data to new client files. It is very user friendly. Everything you need in one spot. The templates can be developed to make typing notes easy. Easy to view due dates. Easy to attach records. Easily integrates with Idexx Lab results. If too many windows are open then it really slows the software down. It is not always easy to find what you are looking for. There are still a few issue with the program freezing when we try to print a patients full history. This can be annoying. Anything and everything from scheduling alts to refilling medications. The program is really simple to use and set up. I love that I am able to color code different types and easily edit patient t history. I honestly have no complaints at this time. Client communication has become a lot simplier from sharing patient history to sending out appointment reminders. "IDEXX is always quick and professional"
They were expensive and took 24 hour turn around. However they did have a rush option. "Not the most user friendly"
It needs to be more customizable and easier to use. Multiple steps are required for one simple task to be accomplished. Replication of similar items fir multiple pet households should be standard. "Great software for Vet practices "
Sometimes lags, other than that I haven’t experienced any problems at all. "Vet Tech Point of View"
I dislike the coloring for appointment status. * We monitor all Cornerstone Practice Management reviews to prevent fraudulent reviews and keep review quality high. We do not post reviews by company employees or direct competitors. Validated reviews require the user to submit a screenshot of the product containing their user ID, in order to verify a user is an actual user of the product. Hi there! Are you looking to implement a solution like Cornerstone Practice Management?